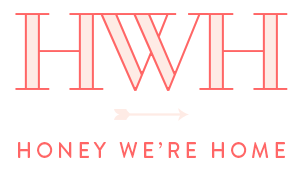 As I write this post, I’m 36 weeks pregnant (yay! #homestretch!) with our second child and my 41st birthday is fast approaching! Even though I’m an older mama this time, I feel so much better than last time because I’ve kept up with my workouts and healthy eating (for the most part). 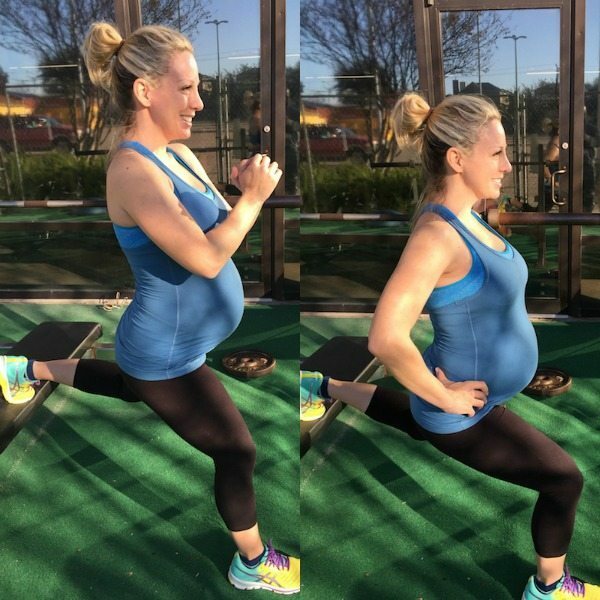 Many of you have asked about my exercise routine during this pregnancy and today I’m happy to share what I’ve been doing and what’s worked for me to help keep me at a healthy weight gain (my doctor recommended 25-35 pounds). I’ve worked hard to stay healthy and fit during this pregnancy, and so far have gained right about 35 pounds. I hope I can keep it at that for the last month! I was so miserable with the 55 pounds I gained with my first and definitely did not want to repeat that experience. I’m only 5 feet tall, and began both pregnancies around 105 pounds, so you can imagine a 55 pound weight gain was too much to comfortably bear. With my first, even though I was active and in good shape pre-pregnancy, I completely stopped working out when I found out I was pregnant. Part of me was so scared that I would harm or lose the baby while exercising and another part was just exhausted and tired because I was working full-time and the last thing I felt like doing at the beginning or end of the day was going to the gym. In retrospect, that was a bad decision and I wished I had done things differently. I always said, if I’m able to get pregnant again, I’m definitely going to watch my weight, keep exercising and eat better. I’ve done that this second time around and I feel a million times better, even though it’s still really hard being big and pregnant at the end. To give you some background, I was training for a fitness bikini competition when I found out I was pregnant this time. I didn’t realize I was pregnant until a few days before the contest, but I actually got pregnant 5 weeks out from the contest date. So, for the first 5 weeks of my pregnancy, I was working out very hard (3 days a week lifting weights and probably cardio 4-5 times week, 45 minutes at a time). Below is a quick snap I took after a run outside- it was July in Houston, so super hot out, just to give you an idea of how hard I had been exercising and pushing myself. Below is 1 week pregnant and didn’t know it yet. When I look back at that girl, I think, “dang, she was in good shape!” I know I worked hard for that muscle! And 5 weeks pregnant, on the day of the contest. I was just starting to show at 13 weeks pregnant. From about week 6-12, I didn’t workout that much because I was pretty exhausted and I had several BAD meals, like McDonald’s Big Macs because that’s what I felt like I could stomach. Terrible, I know. It wasn’t until my second trimester that I got back into the workout and healthy eating groove. There have been weeks where we’ve only done 2 workouts when the workout conflicted with an appointment or something, but for the most part, 3 days it is. 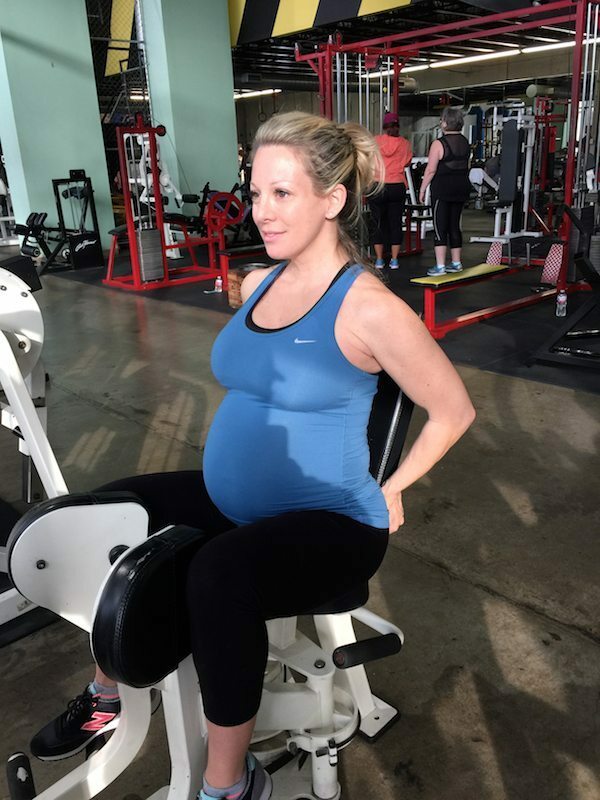 Toward the middle of my pregnancy, I started doing cardio as well, 30 – 45 minutes of walking a few days a week. 1: This isn’t necessarily everything we do, but does provide a good idea of the kinds of exercises that you can still do while pregnant. Most importantly, make sure your exercise program is approved by your doctor. I made sure from the beginning that continuing to workout was safe and healthy for both me and our baby and I still ask at every appointment to double check. I’ve always been given the go ahead to continue exercising and lifting weights up to 20 pounds. 2: We take it much easier now and the intensity has been dialed way down lately as the baby grows and I get winded more easily. I go so much slower than I did pre-pregnancy and we don’t do the fast paced plyometric exercises I was used to. Now, I lift weights, or just use my body weight a lot of the time, and our workouts last about 45 minutes to 1 hour. We used to do 4 exercises in a row, but we moved that down to three, and now two with rests in between. 3: We don’t do any exercises where I’m jumping or lying on my back and no crunches or ab-specific exercises. On the days I train with John, we typically split the three workouts into: 1) legs, 2) shoulders, chest & triceps, and 3) back and biceps. 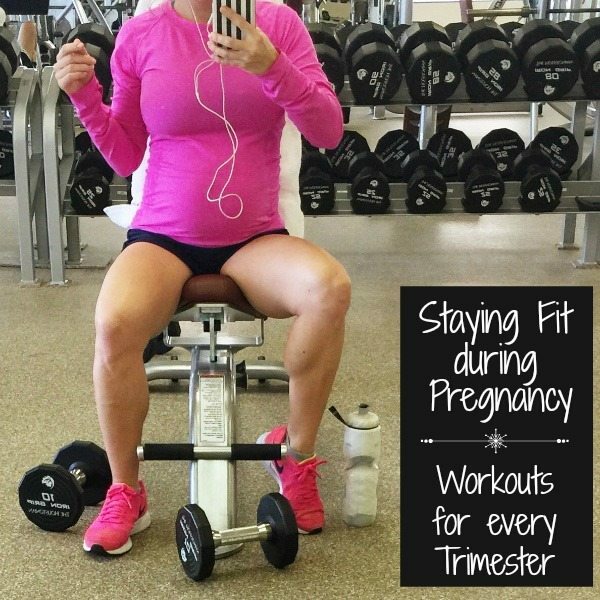 We typically do 3 sets of each exercise for about 15 reps. Again, this is what I’m doing and what has been approved by my doctor; your doctor should specifically advise you of what’s safe before you start or continue a pregnancy workout routine. 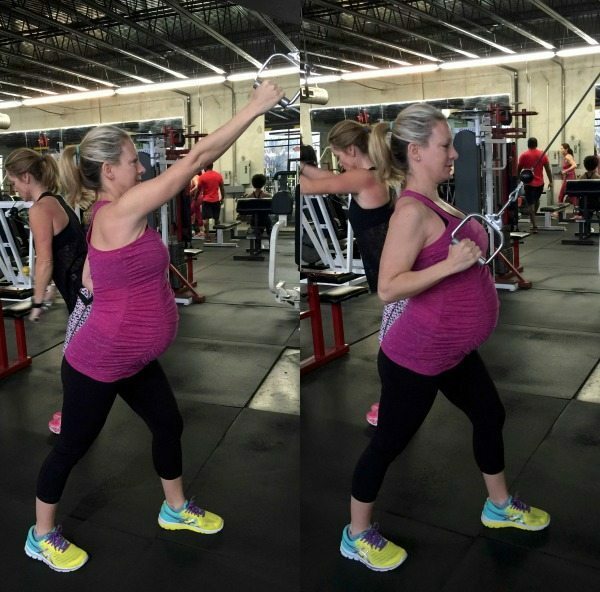 Below are the pictures of some of the exercises I did that week and have been doing in every trimester of this pregnancy. I still do lots of lunges just with my body weight. They are great for for legs and booty. The first picture below is a stationary lunge, but we also do walking lunges. Leg extensions are great for your quads. I do squats with a small kettle bell or just with my body weight. For back, we use weights and cables, always mixing it up. Modified planks for the core. Chest press at an incline, not flat on my back. The important thing is just to keep moving. Even if I’m going slow and especially now that I’m getting bigger and bigger, I just stick to it and do what I can. When I exercise, I tend to make healthier meal choices so it’s a double benefit. And, I walk more, just head out my front door with my iPod and go for 20 minutes, then turn around and walk back. You don’t need a trainer or gym for that! I always come back feeling great from getting outside and getting moving. My first pregnancy, I was so swollen that I couldn’t wear my rings from very early on and I was in flip flops at the end because my feet were sausages. This time, I’m happy to report the swelling is minimal (maybe just a few mornings I’ve woken up swollen lately, and just make sure to watch what I eat that day). I can hardly believe I can still wear my rings! Bottom Line: I’m in awe and amazed by what our bodies are capable of and how they grow and change to support a tiny little life growing inside. Of course, we’re going to get bigger and gain weight during pregnancy, but we don’t have to be miserable from too much weight gain. From my experience, this second pregnancy (even at a much older age!) has been so much better from a physical standpoint. I feel so much better now than I did the first time. I really have to give a lot of credit to John for encouraging me along the way and for having so much experience and knowledge about fitness and exercise. 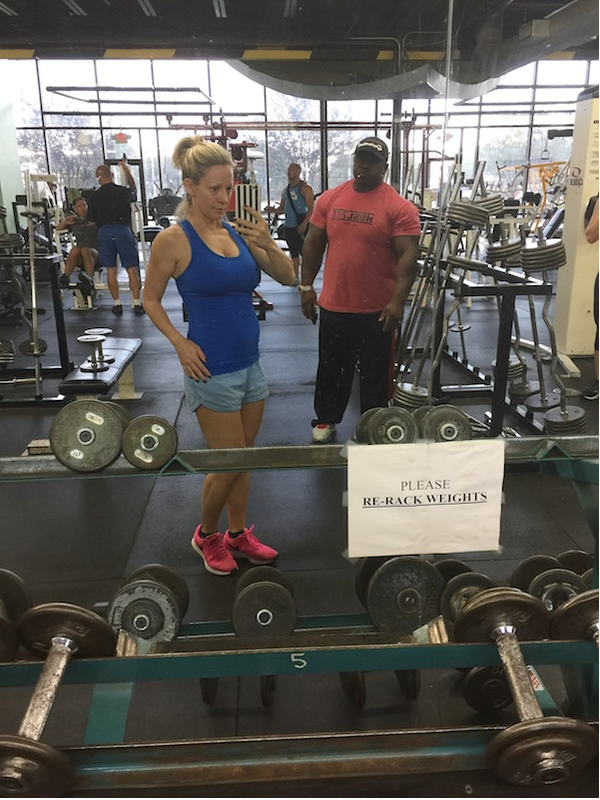 He’s gotten me prepared for two bikini competitions and now is helping keep me in shape during an “advanced maternal age” pregnancy. I plan to keep working out with him until the baby comes! And then, when the time is right, we’ll be back at it after baby arrives. I’d highly recommend him if you’re looking for training in Houston or an online exercise program or meal plan. Email him at: johnjsherman@sbcglobal.net for more information. On top of being an excellent trainer, he’s a really great guy! If you have questions, please let me know in the comments so I can answer them! One month to go!! I'm also small and gained over 50 lbs. when I was pregnant. I didn't feel like doing anything, and I was super swollen and tired all the time. Now I see pregnant women at my gym all the time, and if I get pregnant again, I hope I can be more active! Thanks for sharing your journey! 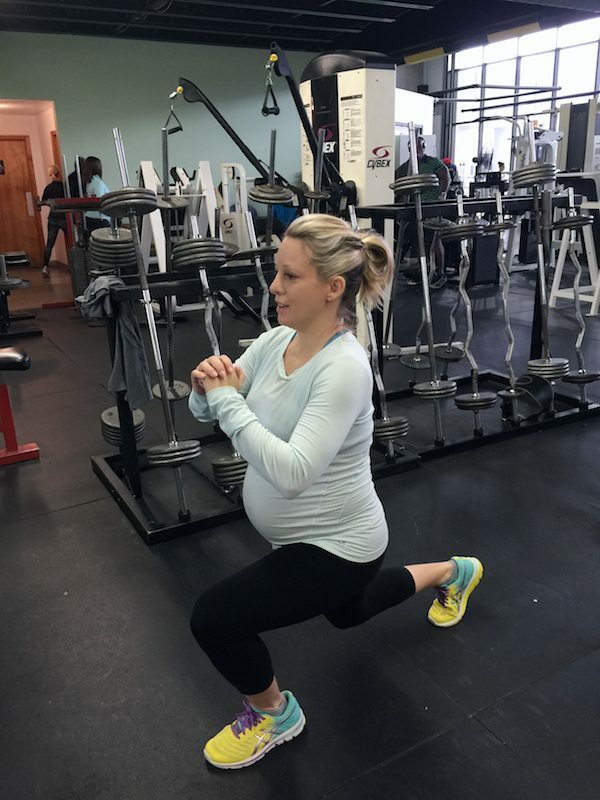 That's so awesome how you've continued to workout and stay fit throughout your pregnancy! 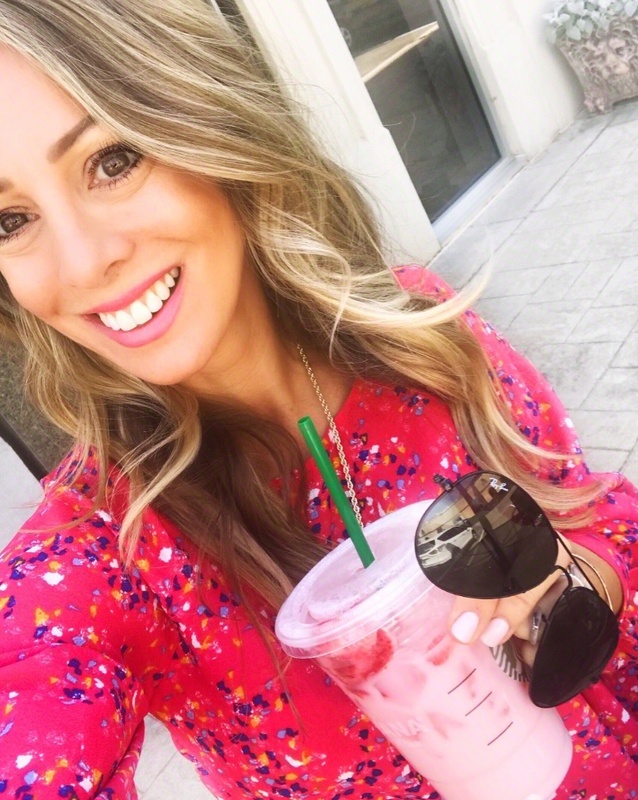 I bet you'll bounce back from your pregnancy so much faster and easier because of that, too… Which will really help since you've got an older, active one to keep up with, along with baby. 🙂 Thank you for sharing! Quick ? : do you drink Muscle Milk when pregnant? Trying to figure out if it's raw eggs or if it's safe when pregnant? If so, I'd like to try it! Lmk! Also, what protein powder do you use when pregnant? I really liked seeing this post! I can safely say we're done with kiddos. (3 boys!) But I like the workout you shared. I may have missed it in the post – is this a typical workout, as in all these moves in order with lunges in between? Circuit style? I've been back at the gym building up my cardio base but I'm good now, so I need to start weights. I'll copy this down if it's all an in order thing – and take it to the gym with me. Thanks for sharing by the way. I commend you, really. I lost all my fitness and gained weight through all the pregnancies which is such a bummer – but its never too late to get back to it! Girlfriend, not gonna lie…you look 10 years younger without all the makeup and hair!! Getting so close now. I pray you and James are both feeling much better now. Gosh, so much crap is going around here in Atlanta!! UGH!!! And, our crazy weather is not helping…60 one day 29 the next. I was the same— though I exercised with my first, I was super cautious. With the second, I spoke to my doctor who said I was so used to working out, it was absolutely fine to continue. I ran and did other cardio and some weights up 'til the week I delivered. I gained 40 with the first and 27 with the second. I hope I stay that motivated to work out and eat right if I have kids! 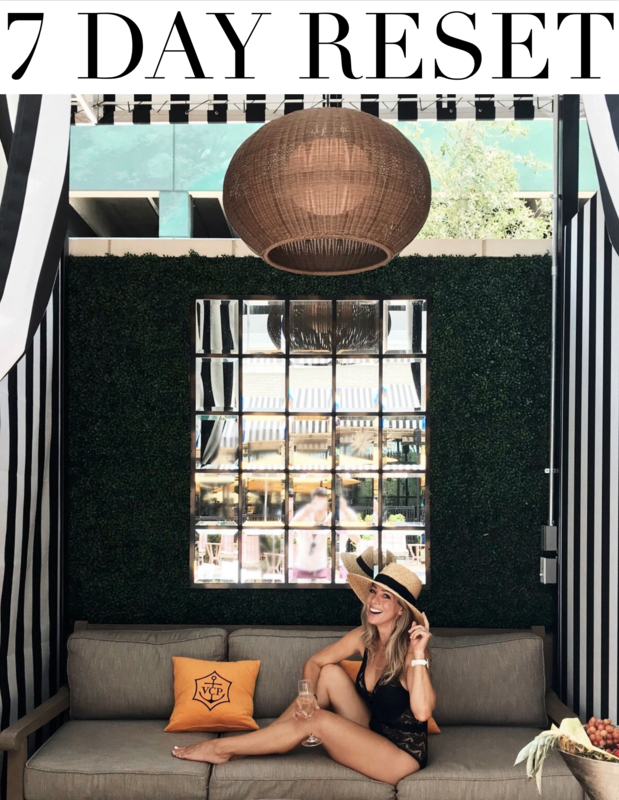 This is such an awesome post, Megan! 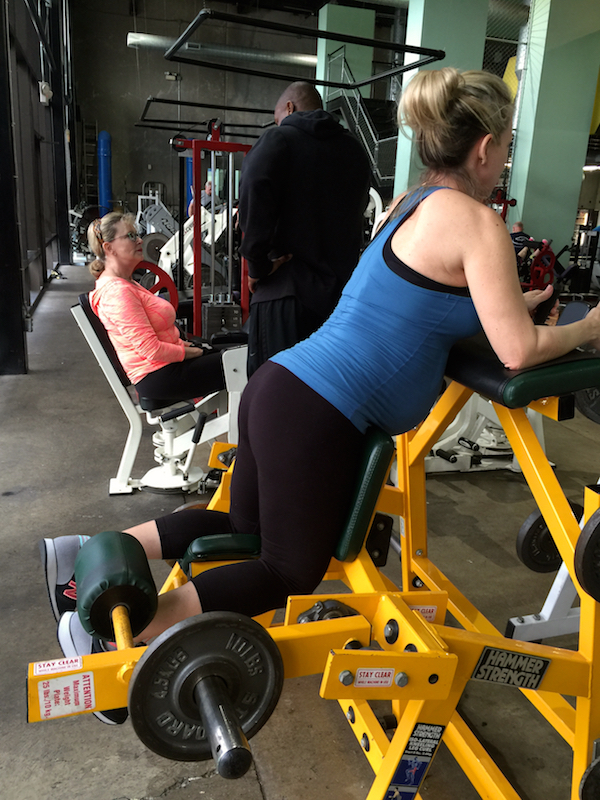 I frequented the gym during both my pregnancies, and always felt so great about doing so! You look amazing, as always! Here's to the final stretch, girl! Megan! Would you be willing to do a maternity fashion post about the awkward "way up" and "way down" phase where maternity's too big, but regular clothes tight? Also I'd be interested in what outfit you wear home from hospital? That is always the most awkward stage to me– and a time when I want to feel good and look cute in what wearing. Would love your help with that! You are so cute Megan! Love following your pregnancy posts. 🙂 They're so inspirational! Hi! I am pregnant as well and having a hard time with finding workout shorts- I prefer shorts to capris usually- do you just buy in a bigger size? Thank you for posting this! And thank you for your older post about gaining 55 lbs with your first. I'm 34 weeks and am up 40 lbs (woof), I went full Britney Spears with this pregnancy eating whatever I wanted and havent even attempted to work out (pre-pregnancy i worked out 3-5x a week). So seeing the progress you made post baby, and how amazing you've done with your second really gives me hope 🙂 THANK YOU! Good for you! I've gained a ton of weight with both my pregnancies, but hope to follow in your footsteps when we go for #3! Thank you so much for sharing this. 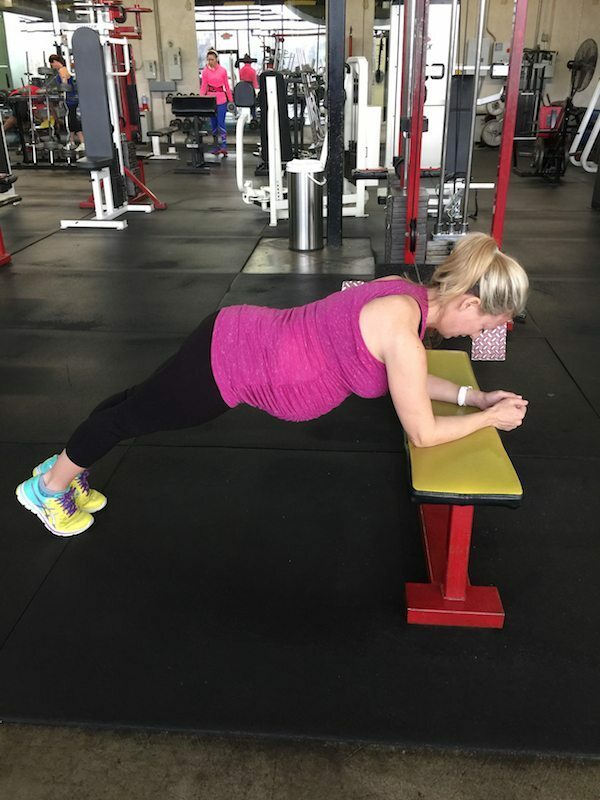 I am newly pregnant and have been struggling with understanding what weight training I can continue doing. There is tons of stuff online but not so much in the department of actual weight lifting. Your post was exactly what I was looking for! My doc told me I could lift up to 50 pounds at this time, so I'm going to make sure to stay within that and just take it easy from my normal routine and reconvene at my first appointment in a few weeks. Thanks so much for sharing! Oh Vanessa! It’s okay! I know it’s hard not to stress with all the pregnancy hormones, but try not to! You got this! Just focus on staying healthy and continuing to move similar to how you did before (with your doctor’s permission). I think now that you’re in your second trimester you will start feeling much better. I’m excited for you!